Argentine football legend Diego Maradona, who was supposed to play a 'Match for Unity on Tuesday against former India cricket captain Sourav Ganguly here, could not take the field due to tiredness and poor event management by the organisers. Kolkata: Argentine football legend Diego Maradona, who was supposed to play a 'Match for Unity' on Tuesday against former India cricket captain Sourav Ganguly here, could not take the field due to tiredness and poor event management by the organisers. Ganguly, who took part in the 40-minute exhibition match, later regretted not being able to play with the 1986 World Cup winner adding Maradona also had a right hand injury which prevented him from taking to the greens. "It would have been great had Maradona played. He had an injury, so he could not play. He is too good a player. Age has caught up with him now, but even then watching him from close quarters is a treat," Ganguly told reporters after the match. It was learnt that the football workshop, which preceded the game, dragged on beyond the scheduled time forcing a seemingly jaded Maradona to not play later. The entire management was shabby as the playing field seemed way too crowded with too many people jousting for space to get a glimpse of the former Napoli Star, regarded as one of the best footballers of all time. Television cameras and photographers were also not accommodated property leading to chaos while trying to get a good click of the legend. Maradona, though, kicked off the match and shook hands with the players and Ganguly. 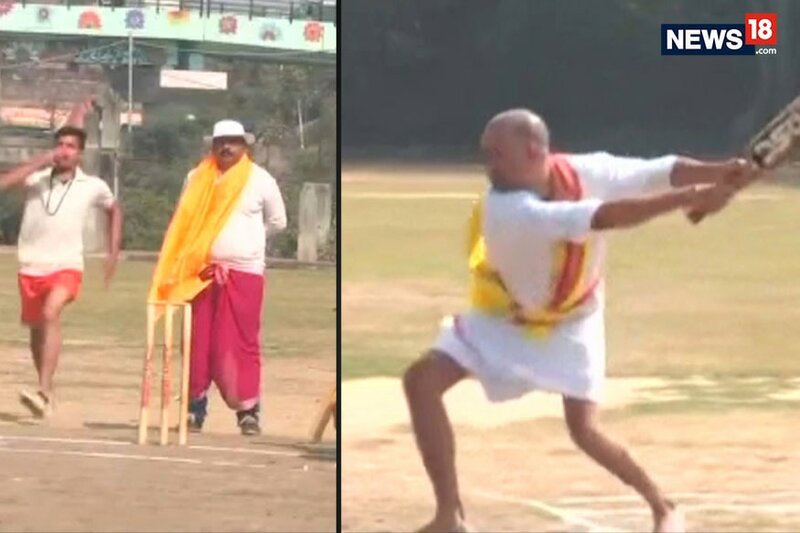 Former India footballers Shyam Thapa, Prasun Banerjee, Dipendu Biswas, Sisir Ghosh, Biswajit Bhattacharya, Alvito D'Cunha were among those who took part in the match along with Bengal cricket captain Manoj Tiwary and fast bowler Shib Shankar Paul. Maradona was seen engaging with the Aditya School of Sports students - all wearing the famous No 10 of the great - actively passing the ball around to them and giving them penalty practice. He even shared his mind with some of them individually giving tips on how to keep the ball on target from close range after one student had skied his effort from a Maradona layoff. Maradona had a second gastric bypass operation two years back after his doctor warned that the 57-year-old is overweight. He was seen drenched in sweat during the 30-minute workshop, and kicked a few footballs to the stands, where cheering fans waited for him. He ended the show with a trademark dribble as shutterbugs clicked frantically. Maradona led Argentina to World Cup triumph in 1986 with a series of virtuoso performances, before finishing as runners-up four years later.